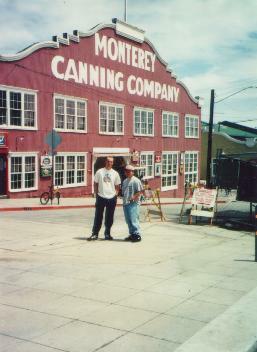 Here's Gary and I at cannery row in Monterey, California. 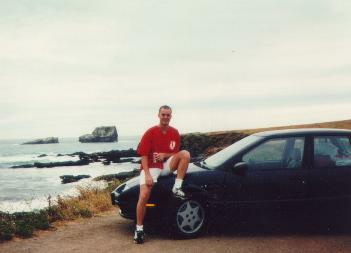 This is me and my (then) new car next to the Pacific Ocean. 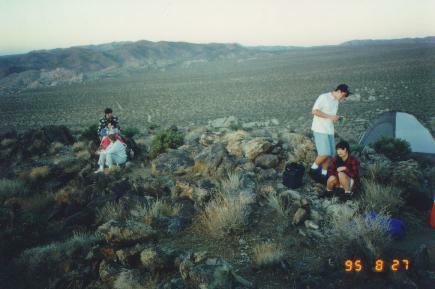 Pictures from Joshua Tree National Monument in California where the CSS (Caltech Space Society) went on an overnight star party. 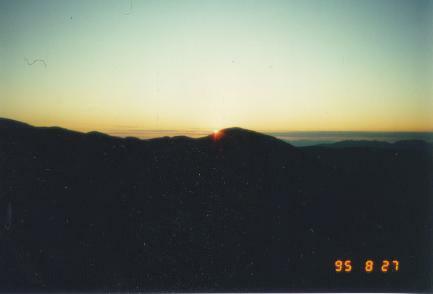 That's a sunRISE, by the way. 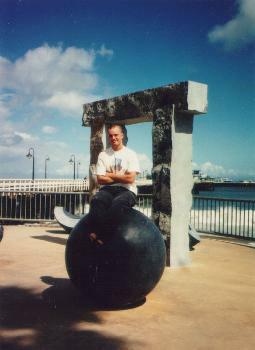 Here's me in Santa Cruz next to the beach. 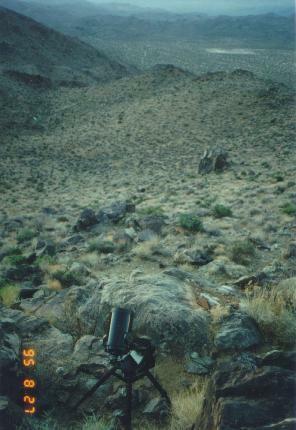 I really like this picture for some reason.